Today problem is about menu: Employers can see Job Seekers menu, but of course when trying to access they can’t. I created 2 modules of menu with access “Registred” users only. I was thinking the problem is on user groups, but I can’t really understand. I hope someone can help me to fix that problem. Job-Seeker and Employer is two kind user only in JobBoard Component, and they don’t relate to Joomla!User’s permission. 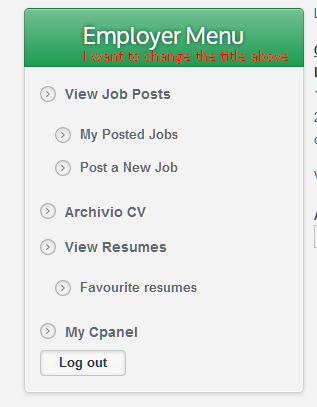 So Joomla can not recognize who’s Employer or Job-Seeker. If you want to create your own menu for Employer or Job-Seeker, create new Menu with the alias employer-menus ( for Employer menu) and job-seeker-menus ( for Job-Seeker menu). JobBoard will take these two alias to make Module Menu for each kind of user. 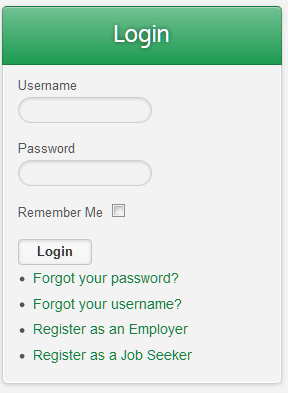 Then go to Module >> JA JobBoard Menu >> Recheck setting for Login and Logout of Employer or Job-Seeker. Thank you Luna, the problem as you wrote was about menu alias. The problem is now the translation, where I find the files for change it? <blockquote>The problem is now the translation, where I find the files for change it? Copy above file to your language folder, then change text. REGISTER_AS_A_JOB_SEEKER="Register as a Job Seeker"
Another thing is about Redirection after login/logout: I don’t want it, how can I disable? Setting for Redirection after login/logout is needed, so you can’t disable it. Remember to backup your file before processing. This topic contains 7 replies, has 2 voices, and was last updated by fismpn 5 years, 5 months ago. Copyright © 2005 - 2015 JoomlArt.com. All Rights Reserved. Joomla! name is used under a limited license from Open Source Matters in the United States and other countries. JoomlArt.com is not affiliated with or endorsed by Open Source Matters or the Joomla! Project.